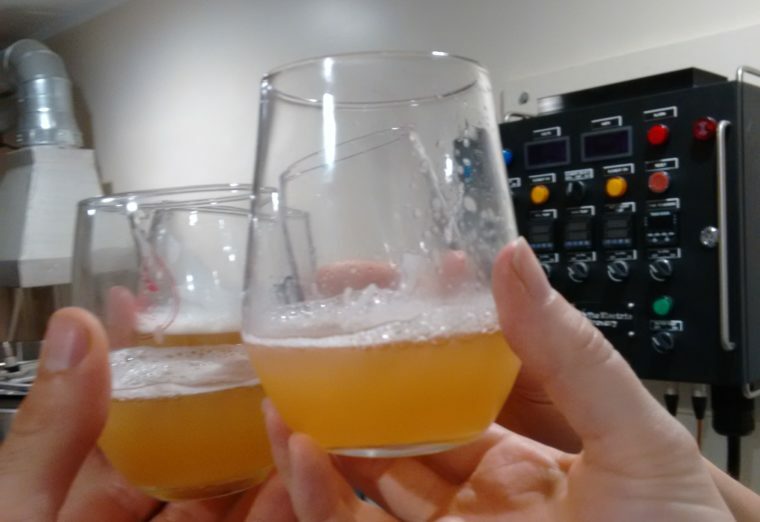 One of our most enthusiastic Kickstarter supporters got to design her own beer! We developed this recipe to blend her chosen style (White IPA) with her inspiration (Earl Grey Tea.) Wharrgarbl is flavored with Seville orange peel (source of bergamot oil), and spicy peppercorns. It’s bold and citrus-forward.